The A Brush with Kindness crew soon visited Audua and her husband Michael’s home to do an assessment of what type of work was needed. 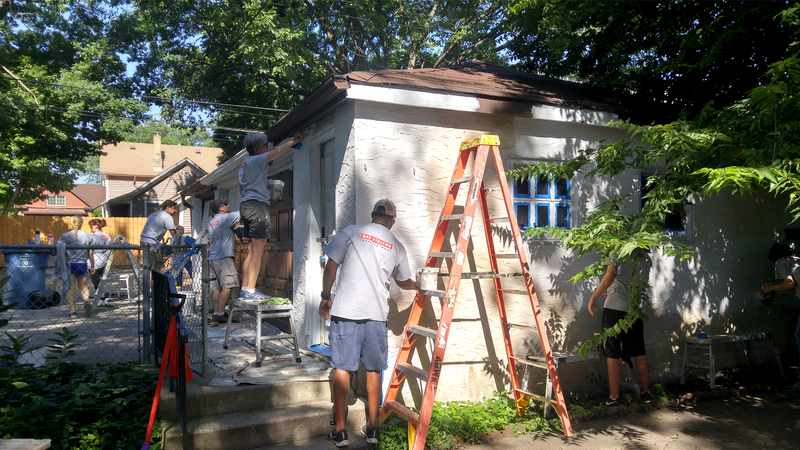 Alison Reist, a Project Supervisor for the program, describes the project as “much more than the typical paint and scrape job.” Audua and Michael’s home not only needed exterior paint, but the kitchen and bathroom needed help. 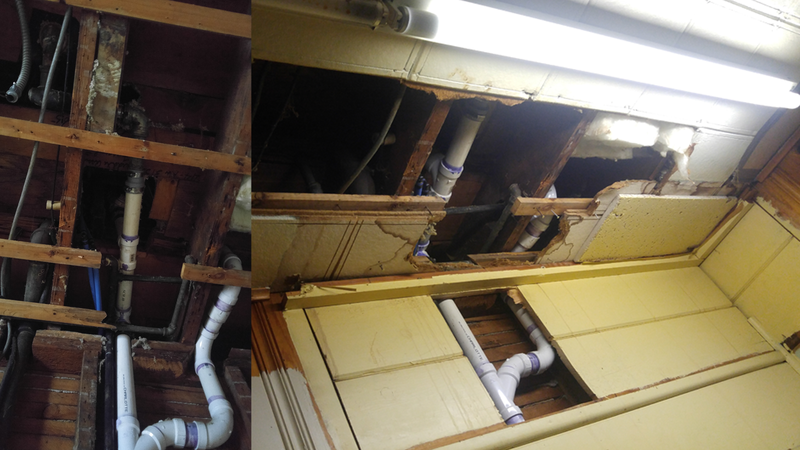 The project started with the bathroom, which had some labor-intensive plumbing issues. It took an entire day for a plumber to rework and fix the root cause of the problem. To gain access to the plumbing, a large hole had to be cut into their daughter Aniya’s bedroom wall. Audua insisted that there be a way to gain access to the space if there were to be any future issues with the plumbing, so Alison and team came up with a creative way to build access doors. They made sure Aniya was included because it was her room. She helped choose the door color and doesn't want to cover it in anyway. “I really like the color and I love looking at them,” Aniya says. Audua recalls working with the many people that played a role in repairing her home. Contractors, volunteers and Twin Cities Habitat staff. “They’re fantastic people. They felt like family. They listened. They heard me,” she says. 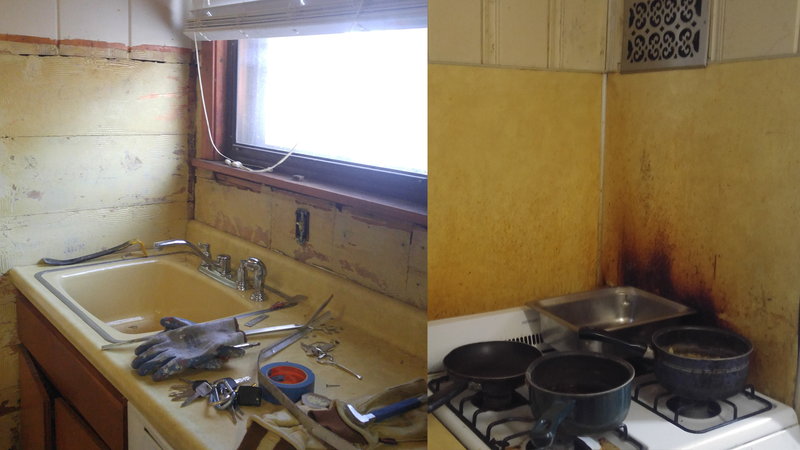 “They did a wonderful job.” Now with the bathroom being brought back to life, they then tackled the kitchen. The ceiling had a giant hole where the cat would sometimes disappear into. “It was awful” Audua says. “A Brush with Kindness equals Ty Pennington,” Audua says. 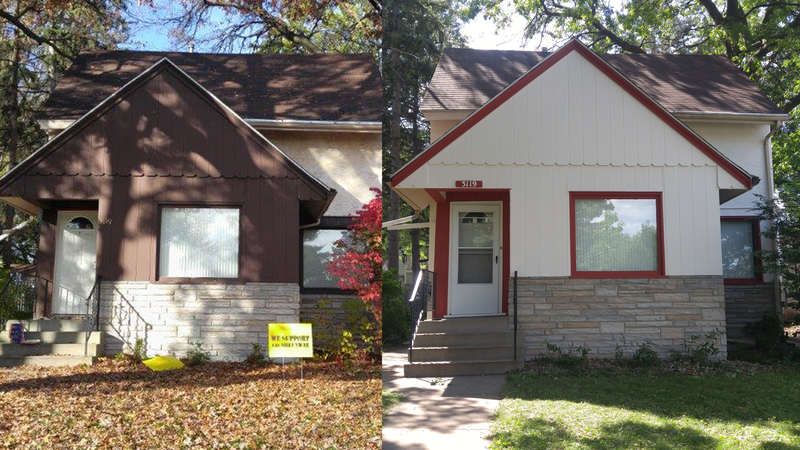 She was able to choose a bright new paint color and be a part of the many design choices. When it came time for the home’s exterior, there were many colors to choose from and many of the design choices were hers to make both inside and outside. When the work was being done, they noticed a large tree needed to be trimmed in the front yard. Audua made sure everyone didn't refer to him as “the big tree.” “His name is Ezekiel,” she says. 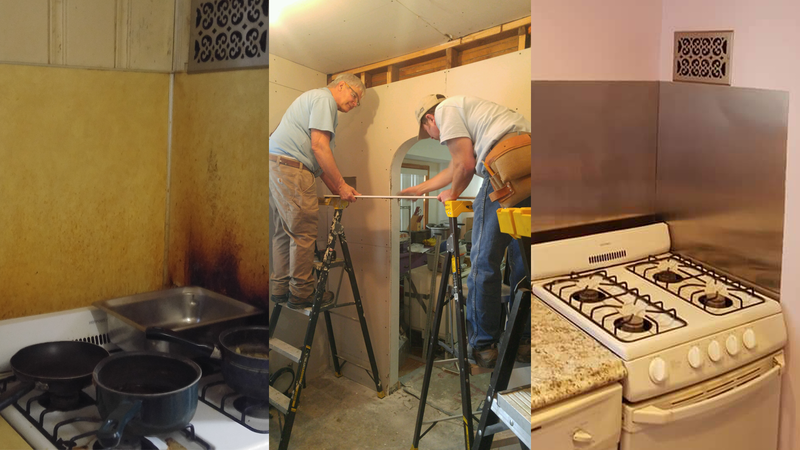 Named after a local deacon, Ezekiel lived through a tornado, had strong roots, but “If he ever fell, he’d take out the block!” Luckily the A Brush with Kindness team was able to trim up Ezekiel and now her home shines inside and out. “It means the world to me,” Audua says. “I am so proud of our house. The kitchen is purple. The bathroom is functional. The property value went up. 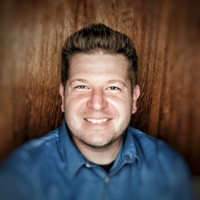 And we take more pride in our home.” She continues by saying, “Your world could be falling apart… then ahhhh… when you come home.” The pride and relief when coming home from a long or stressful day can only be measured in that “ahhhh” moment. 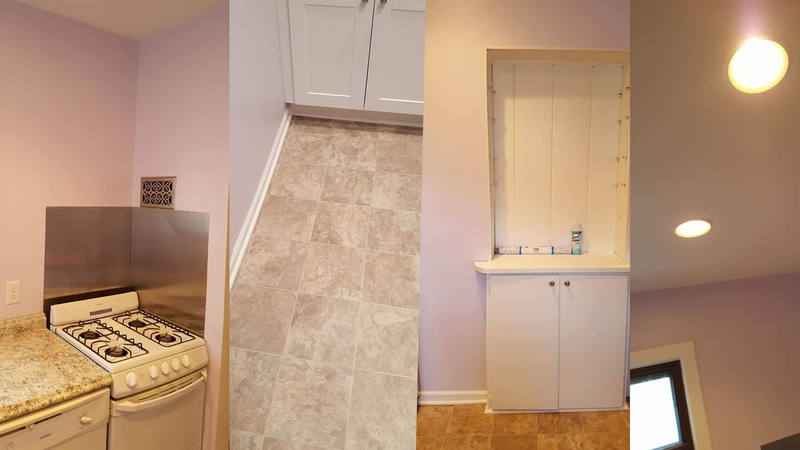 Final photos of the purple kitchen! During the entire process, Audua welcomed everyone into her home as if you were a member of the family. If you’ve ever walk by or visited, she’d be the first to say hello. It’s evident when you meet her. “People are people and I say good morning to everyone,” Audua says. There is only one way to describe Audua, says Alison. “Audua is a powerful woman. 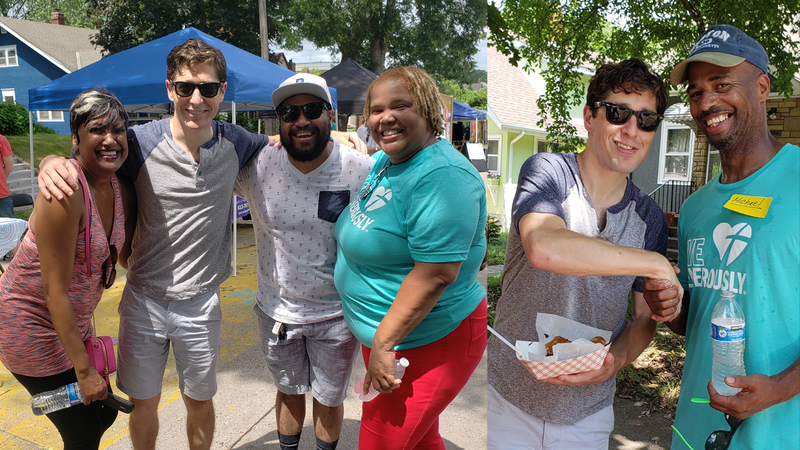 I love her for that.” Alison continues by saying “She is full of insights, stories and welcomed us into her family.” It was evident that Audua and her family have had a huge impact on her home and surrounding neighborhood. All throughout the project Audua welcomed volunteers and workers into her home and made sure she interacted with everyone, no matter what. Her neighbor Beth would even stop over and give the crew lemonade to all those helping out. It’s obvious that community is contagious when near Audua. Coincidentally, a community celebration called Jordan Week of Kindness was on Audua’s block last year. “She is a huge advocate,” Alison says. Making connections and friendships is what truly revitalizes the community. More importantly, it takes homeowners like Audua who push the envelope. If you get a chance to meet Audua, YOU WILL say hello, YOU WILL not be ignored, YOU WILL be a part of this community! Audua is now currently the chairwomen of Jordan Area Community Council and is planning the next Jordan Week of Kindness celebration and recommends A Brush with Kindness to everyone she meets.